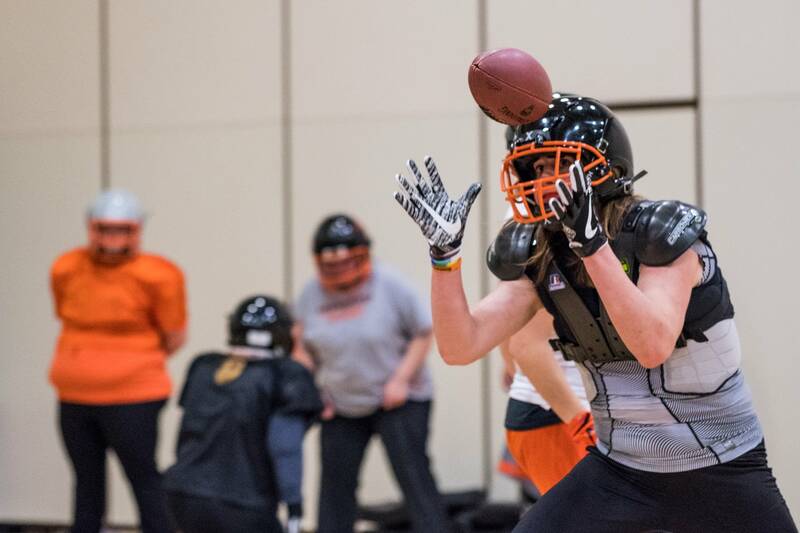 Several years ago, Christina Ginther tried out for the Minnesota Vixen, a team part of the Independent Women’s Football League. Which is a semi- professional, full tackle, women’s football organization. Despite being told that she performed very well, she was not offered a spot on the team. The reasons included the unproven “unfair advantage” that a trans woman might have” and that there would be a safety risk for other women. “She said, ‘Well, your numbers were good. But in the process of drawing up player contracts, we looked at your social media and found out that you’re transgender,’ ” Ginther shared with MRPnews. To date, there has been no evidence published or cases reported regarding any kind of unfair advantage or safety risk present with transgender athletes in sports. Ginther took her case to courts in 2017 where she sued the Vixen, not necessarily for money, but to send a message that transgender discrimination is illegal and to stand up for the transgender community. A jury in Dakota County ruled that The Vixen’s discrimination against Ginther violated the Minnesota Human Rights Act and awarded Ginther $20,000 in damages. “And the Vixen were arguing, ‘You know, this is just football.’ I was just really happy with my lawyer. he said, ‘That’s kind of the same story. It’s only football. It’s only a bus seat. It’s only a bathroom. But it isn’t.. We’re talking about human dignity,” Ginther said. Ginther’s lawyer believes this is the first jury verdict in Minnesota to rule in favor of a transgender person in a discrimination claim. Despite being denied a spot on the Vixen, Christina Ginther did find a place on another team, the Minnesota Machine, which plays in a different league, the Women’s Football Alliance. She has since retired from the sport.